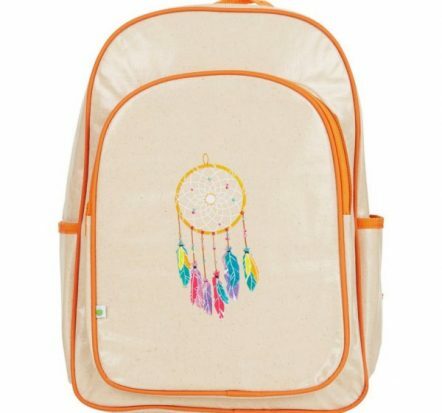 Tags: apple-and-mint, big-kid-backpack, dreamcatcher, school-backpack. 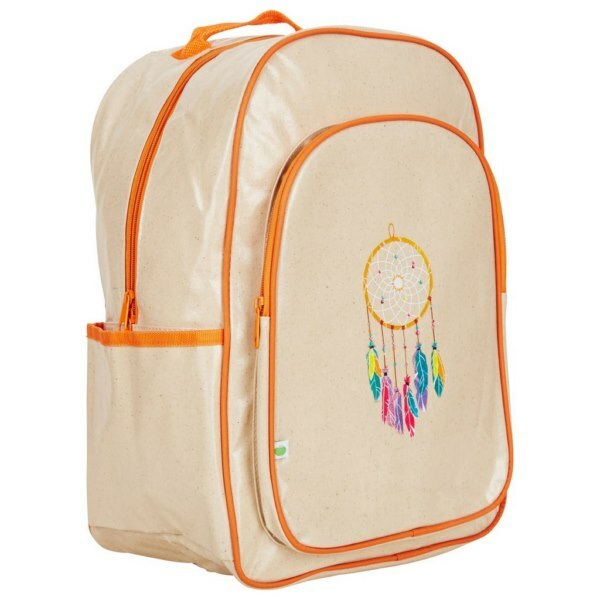 The Apple & Mint Dreamcatcher Big Kid Backpack is a sturdy backpack featuring a large interior space, big enough to hold your lunch, folders, books, clothes and more. 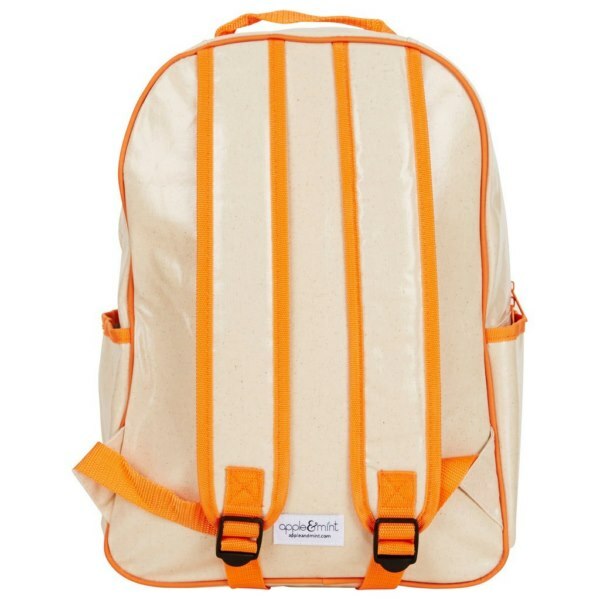 Constructed with easy to clean water-resistant coated linen, featuring a small interior zipped pocket, a large exterior front pocket and two side pockets there is plenty of room to fit all the essentials! 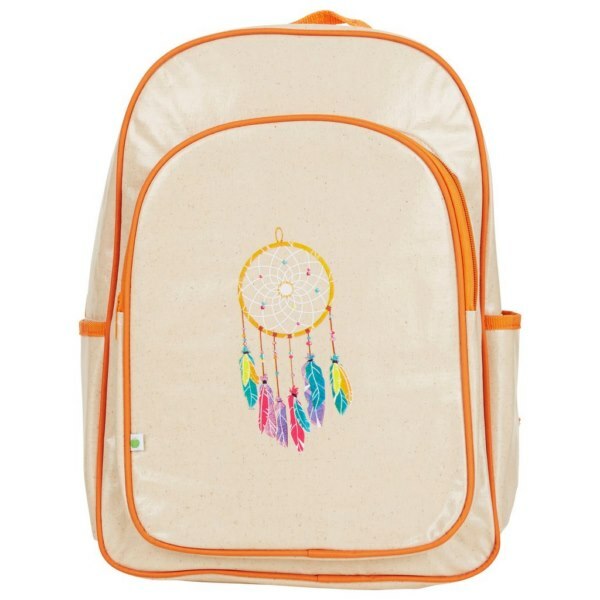 Use it for daycare, school, sleep-overs, or when traveling, it’s a must have accessory!